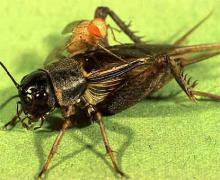 Don't tell a male cricket this, but his mating call is responsible for attracting more than a mate; it attracts a parasitic, pregnant fly called the Ormia ochracea. Other flies would not hear the crickets, but the Ormia ochracea has unusually acute multi-directional hearing that a University of Wisconsin, Madison (UW-Madison) researcher wants to biomimic in a powerful way. They may not do a fantastic job at predicting the weather, but weather radars are great at tracking bats! 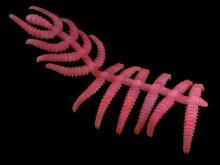 Diania Cactiformis, a Cambrian fossil creature nicknamed the 'walking cactus', is revealing how arthropods (insects, spiders and crustaceans) evolved their jointed legs. aquarium that can contain fish. Wait until you see how small it really is and how Konenko has put it together. sheep are really very smart! This just in. Shake, rock, and roll! Your cat can now have a motorized cat tower, for just 400 bucks and a place to put it.